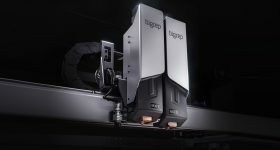 Following a recent strategic partnership, 3D Systems and GF Machining Solutions, a division of Switzerland-based manufacturing company Georg Fischer, have unveiled the DMP Factory 500, an industrial, automated metal 3D printing system at the 2018 International Manufacturing Technology Show (IMTS) in Chicago, Illinois. 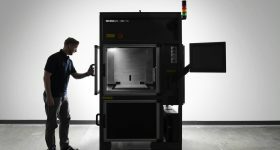 “Manufacturers will have a solution that combines additive and subtractive manufacturing and provides a simplified workflow,” said Vyomesh Joshi (VJ), President and CEO of 3D Systems. 3D Systems has also announced an updated end-to-end software portfolio, including 3DXpert 14 which compliments the new DMP Factory 500. 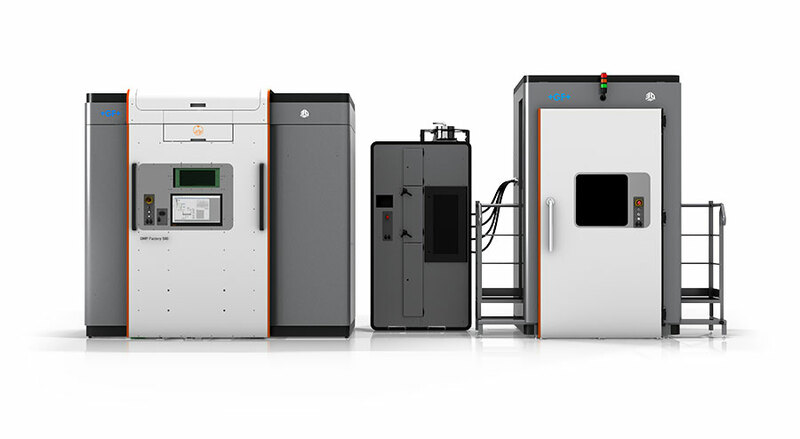 The DMP 500 Factory 3D printing system. Photo via 3D Systems. 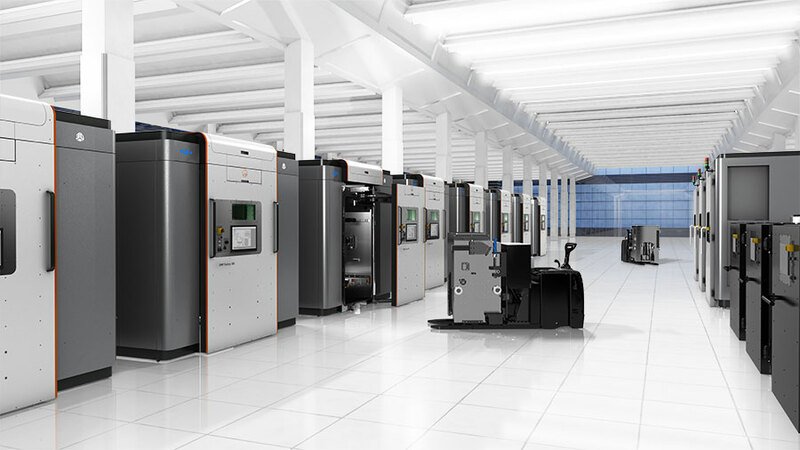 Earlier this year, 3D Systems and GF Machining Solutions partnered to develop a smart factory for optimizing the production of metal parts. 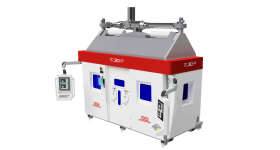 A product of this partnership, the DMP Factory 500 has a large build volume (500 x 500 x 500 mm) and high throughput enabled by multiple lasers. 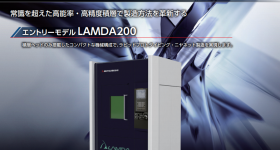 According to the companies, the system additively manufactures high-quality metal parts with a lower total cost of operations (TCO) compared to other systems already on the market..
With an option for customization, the DMP Factory 500 is comprised of five function-specific modules. 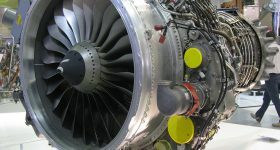 This includes a 3D printer module capable of 24/7 production; a removable print module (RPM) for powder and part transportation; a powder management module (PMM) for de-powdering parts on build platforms; a transport module (TRM) and a parking module (PAM) which enables RPM movement and storage capacity. In addition, the DMP Factory 500 has integrated GF Machining Solutions’ System 3R – a referencing and clamping tool. 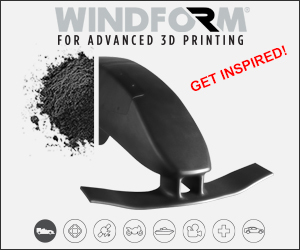 This allows for optimal positioning of the build plate, and fast transition from the 3D printer to post-processing steps. GF Machining Solutions has filed a patent application for a new carrier concept which will permit users of the DMP Factory 500 to position and locate build plates on the RPM. This concept intends to decrease the cost of build plates. 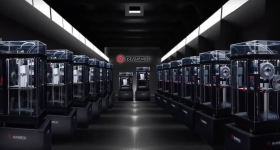 “The DMP Factory 500 is transforming and redefining how manufacturing gets done,” added VJ. Users of the DMP Factory 500 will have access to a combined distribution network operating in more than 50 countries for both sales and support inquiries. 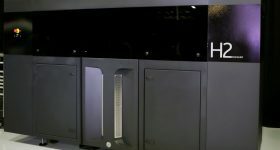 In line with the new hardware release, 3D Systems has updated its end-to-end software portfolio with a focus on automation. Firstly, Geomagic Design X 2019, an updated 3D scanning and CAD software now includes a streamlined direct scanning user experience, hole filling and automated file fixing, new sketching and blending tools and surface fitting quality and continuity controls. 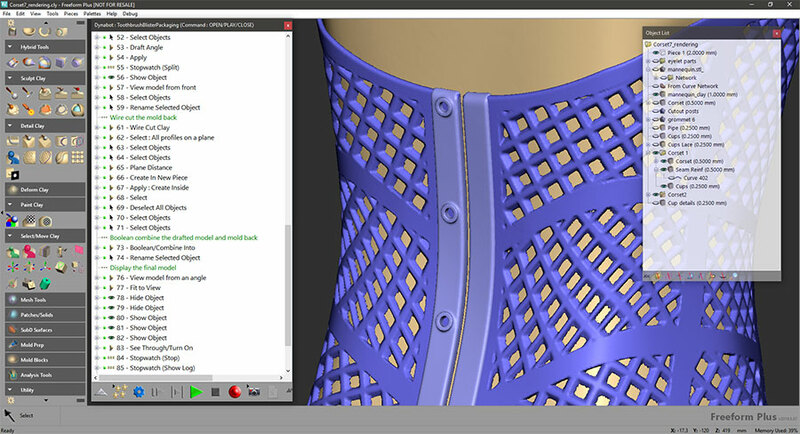 Mass customization design software, Geomagic Freeform 2019, has been updated with functionalities to automate repetitive modeling tasks, increasing productivity. This software also includes Dynabot, a tool which speeds up repetitive customization and production workflows. The Geomagic Freeform 2019 updated software. Image via 3D Systems. GibbsCAM 13, a CAM software for production parts, has been integrated with additional milling and turning capabilities and an enhanced G-code editor, which improves the communication between software and CNC machining centers. 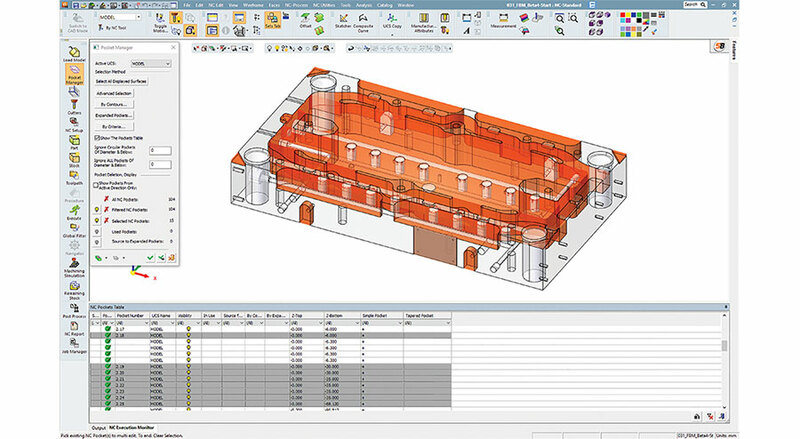 Cimatron 14, a CAD/CAM tooling software, currently features segment design tools as well as ProgSim (Autoform) simulation for mold and die designers wanting to achieve rapid production. The Cimatron Freeform 2019 updated software. 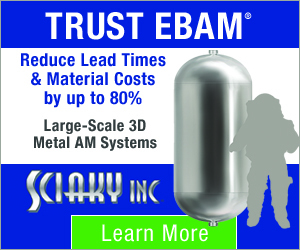 Image via 3D Systems. 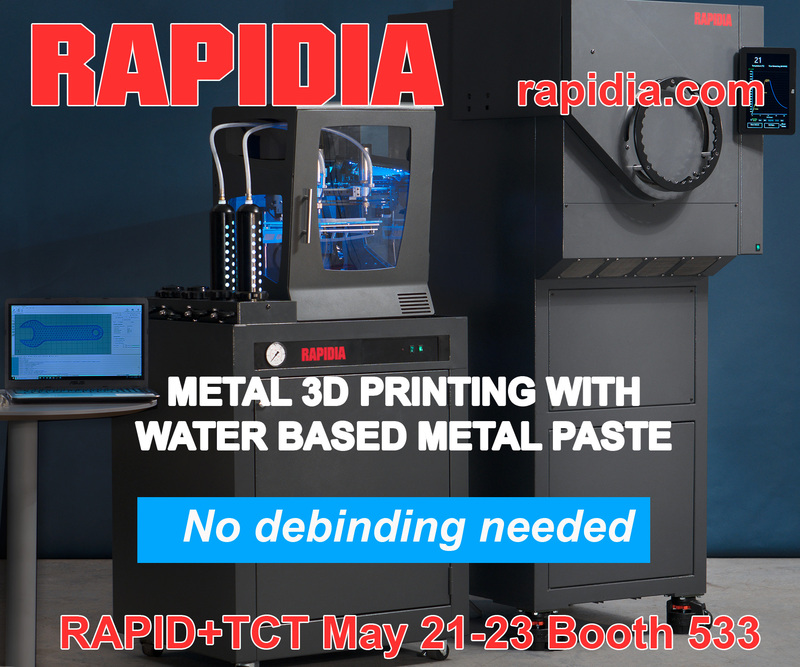 3DXpert 14, an all-in-one, end-to-end software for the entire metal additive manufacturing workflow, has been integrated with preparation, simulation, optimization, and post-processing operations. 3DXpert 14, Geomagic Freeform 2019, and Cimatron 14 are available now. Geomagic Design X 2019 and GibbsCAM 13 will be released Q4 2018. 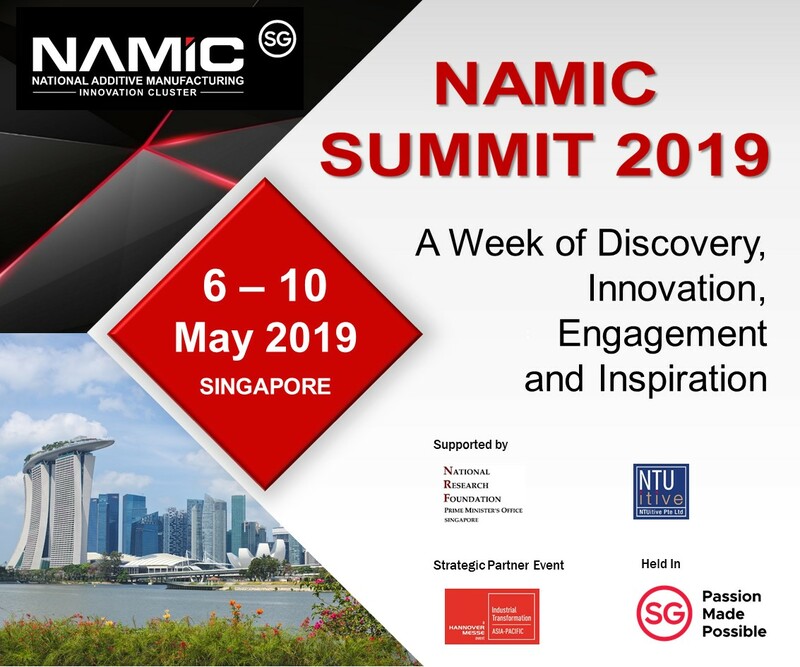 “These new software releases transform the digital workflow, helping manufacturers move seamlessly from digitization to design and simulation through to manufacture and manage, explained Ilan Erez, Senior Vice President and General Manager, Software, 3D Systems. 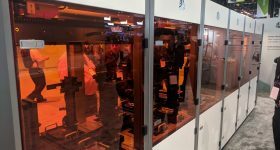 For more releases and news live from IMTS and the wider 3D printing industry, subscribe to our newsletter, follow us on Twitter, and like us on Facebook. 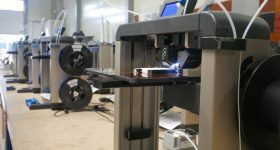 Featured image shows the DMP 500 Factory 3D printing system. Photo via 3D Systems.